Jesus joined Watsi on June 26th, 2014. 12 other people also joined Watsi on that day! 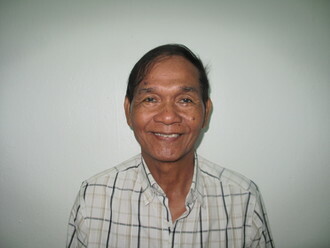 Jesus' most recent donation traveled 8,800 miles to support Rithsamoeun, a man from Cambodia, to fund cataract surgery. Jesus has funded healthcare for 30 patients in 12 countries. Rithsamoeun is a government worker from Cambodia. He has two sons, one daughter, and five grandchildren. Five years ago, Rithsamoeun developed a cataract in each eye, causing him blurred vision and photophobia. He has difficulty seeing things clearly, recognizing faces, and going anywhere outside. When Rithsamoeun learned about our medical partner, Children's Surgical Centre, he traveled for half an hour seeking treatment. On March 5, doctors will perform a phacoemulsification surgery and an intraocular lens implant in each eye. After recovery, he will be able to see clearly. Now, he needs help to fund this $398 procedure. He says, "I hope I can see everything clearly after the surgery. I want to continue my work as chief of my village again with improved vision." “My wish is to be a driver when I am older,” shares Michael, who lives in Kenya. At 13, Michael is an eloquent young man. He and his three other siblings live with neighbors in their village. Although his foster family can take care of his basic needs, they do not have the extra money to help treat an ongoing injury Michael has experienced. In 2009, Michael and his sister were preparing food when he was accidentally burned by cooking oil on his hand and neck. After several hospital visits, he received a skin graft in 2011. Michael mostly healed, but contractures—abnormally tight, tough sections of tissue—formed on his neck where the burn had been. As Michael continued to grow, the contractures stretched his neck into an abnormal position. Unless he is treated, this twisting will only continue to worsen. Fortunately, though, we can help Michael. For $1,176, we can sponsor the surgical procedure that will release his contractures, allowing his neck to return to its normal position. This sum will also cover the lab tests, medications, and nine-day hospital stay that will accompany his operation on January 17, 2018. Michael has already faced many challenges in his short life. Let’s help make sure chronic medical disability doesn’t become another one. Seetotaw is an 18-month-old living in Ethiopia with his mother and father. His father supports the family as a traditional basket weaver, while his mother stays home to care for him. Seetotaw is a happy infant who loves music and dance. Seetotaw was born with a congenital condition called bladder exstrophy, which means that his bladder pokes through the outside of his abdomen. The exposure of his bladder puts him at heightened risk of injury and infection and requires constant care. Doctors have recommended that he undergo surgery to repair the bladder abnormality. His parents are worried that without the surgery their son will continue to require constant medical care and be stigmatized in the community. Our medical partner, African Mission Healthcare Foundation, is requesting $1,500 to fund Seetotaw's surgery. His parents are hopeful that this surgery will allow him to to have a happy and healthy childhood. Marie-Yolande is a 44 year-old woman from Haiti. She is the mother of two children and they all live together in Port-au-Prince. In her free time, she enjoys attending church. Before her illness, Marie-Yolande worked as a street merchant. In December 2016, she began to experience a lot of pain in her breast. She went to the hospital, where she had a mammogram, multiple exams, and a biopsy. The results showed that Marie-Yolande had breast cancer. After four sessions of chemotherapy, Marie-Yolande will have a mastectomy on August 27. Our medical partner, Innovating Health International, has requested $1,085 to fund Marie-Yolande's procedure. This will cover the full cost of treatment, including a two-night hospital stay, medication, labs, radiology, physician and nurse time, and travel expenses. After her surgery, Marie-Yolande hopes to become more independent and be healthy again. Thu is an 18-year-old teenager from Burma. He lives with his family and works as a migrant day laborer. In fifth grade, Thu was diagnosed with a heart defect, which causes him heart palpitations and joint pain. Recently, while Thu was working, he fell ill as a result of his heart condition. He was taken to a local hospital and from there referred to our medical partner, Burma Children Medical Fund (BCMF). On July 18, Thu will undergo a mitral valve replacement surgery at BCMF's care center, Lampang Hospital. BCMF is asking for $1,500 to cover the cost of Thu's surgery. Thu is looking forward to his treatment and recovery! Vandy is a 70-year-old grandfather from Cambodia. He has one son, three daughters, and twelve grandchildren. He enjoys listening to monks praying at the pagoda in his free time. Vandy developed entropion of both eyes about four years ago, causing his eyelids to turn inward. This in turn led his eyelashes to scrape the surface of his eyes. As a result of this condition Vandy experiences blurred vision, irritation, and tearing. It is difficult for him to see things clearly, to recognize faces, to do any type of work, or to walk anywhere outside by himself. Vandy knew about our medical partner, Children's Surgical Centre (CSC), from a person in his village, who had surgery at CSC before. He traveled for one hour with his daughter to reach CSC for treatment. On May 23, eye surgeons at CSC will perform a lid correction surgery for each eye to treat the entropion. This procedure will enable Vandy to see clearly and be free of irritation. Our medical partner, CSC, is requesting $266 to fund this procedure. The requested $266 pays for surgical materials, medication, and three nights of hospital stay. Enifa is a 51-year-old woman from the Central Region of Malawi. She lives with her daughter and helps on her farm. During the day, she cooks, cleans, and looks after her grandchildren. In October of 2016, Enifa was diagnosed with cervical cancer. Finding herself unable to receive treatment at the large public hospital, Enifa came to our medical partner's care center, Nkhoma Hospital, to seek treatment. "I have tried to get treatment and could get no help. I will now finally get better," she says. Enifa is scheduled to undergo a hysterectomy on March 7. This procedure will remove her uterus to fight the cancer. 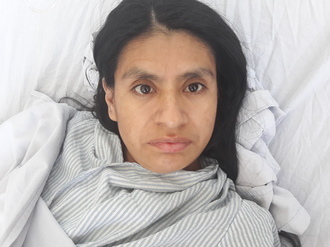 Our medical partner, World Altering Medicine, is requesting $650 to fund her operation. After surgery, Enifa looks forward to returning to her family healthy and well. Meet Paly, a 19-year-old farmer from Cambodia. He has four younger brothers and two younger sisters. In his spare time, he helps his mother with housework and plays football. As a child, Paly developed an infection in his left ear, which eventually spread to his right ear. He went to a hospital in Phnom Penh to seek treatment, but his symptoms did not improve. Paly experiences ear discharge, hearing loss, and tinnitus (ringing in the ear). He has had to stop work due to his condition. Paly and his mother traveled for one hour to reach our medical partner, Children's Surgical Centre (CSC). ENT surgeons at CSC have diagnosed Paly with ruptured eardrums and otitis media (middle ear infection). On March 13, surgeons will perform a myringoplasty in each ear to repair the perforated eardrums and prevent further infection. Over time, Paly's hearing will improve. With $831, we can help Paly restore his ability to hear and get back to work! Sinoeun is a 46-year-old married farmer with two sons and a daughter. She likes to cook and look after her children in her free time. 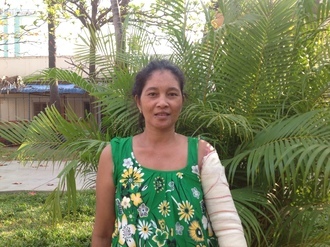 While cooking with hot oil, Sinoeun sustained a severe burn to her left arm. Despite hospital treatment, her arm became infected. Sinoeun remains unable to work and in pain. Sinoeun needs to have the infected tissue removed from her arm. She will undergo burn repair surgery on February 17. Surgeons will also perform a skin graft to cover the remaining healthy tissue. Sinoeun needs help to pay for this $378 treatment. After this procedure, she will feel comfortable again.